The PS4 standard Edition Battlefront II bundle looks quit usual but it is for those who aren’t interested in spending too much for their gaming needs. 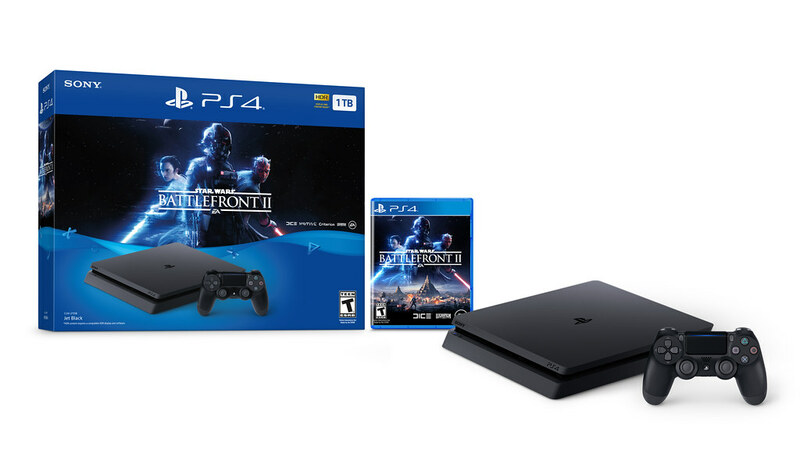 Sony has announced two new Playstation 4 Star Wars Battlefront II bundles, one of them is for the PS4 Pro while another is a standard edition. The Sony PS4 Pro is the most powerful console from the company that can play games in 4K resolution. Just in time before the Battlefront II gets launched, the company has announced two different console bundles giving players one more reason to upgrade their system or buy a new one to join the federation. 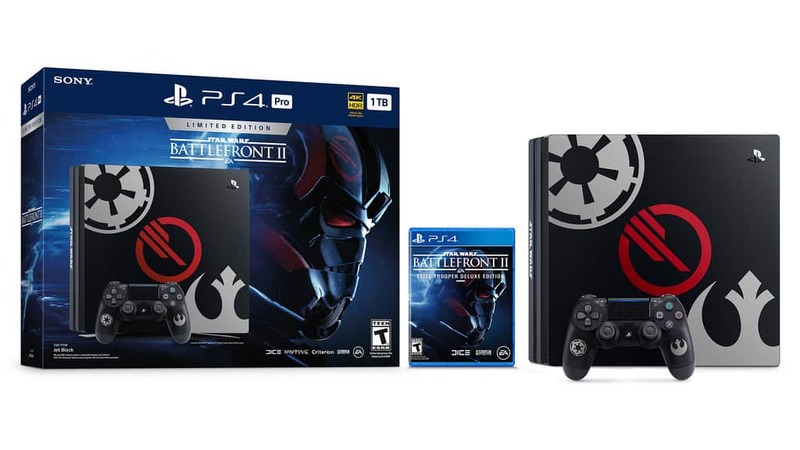 The Star Wars Battlefront II PS4 Pro bundle features a special console design which is adorned with the emblems of the Resistance and the Galactic empire. There’s also the Inferno Squad logo which plays an important role in the single player campaign in the new Star Wars game from Electronic Arts. The limited edition bundle is easily the best looking PS4 Pro edition yet because instead of the boring black, it now has a franchise’s logos and additional design on the controller as well making it stand out. Players will get premium content including DLC packs, epic Star cards and access to an elite hero. The Star Wars Battlefront II PS4 Pro bundle costs $449.99 and is scheduled for launch on November 14th. The standard edition PS4 model costs $299.99 and launches on November 17th.